Despite a well-publicized increase in security over the past year, passengers still try to sneak dangerous items onto airliners at Sanya Phoenix International Airport. 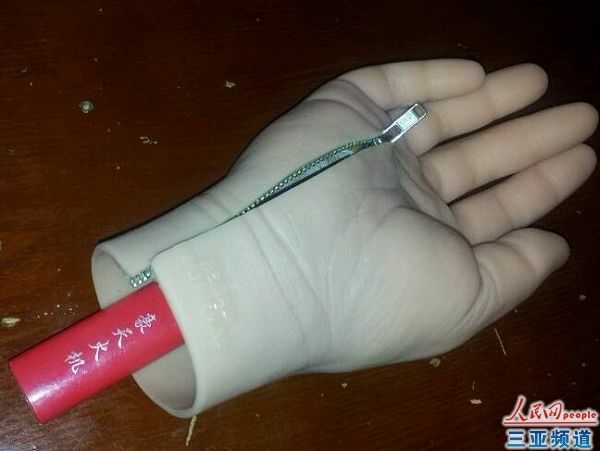 On 23rd April, workers at Sanya Phoenix Airport found a lighter hidden in a Russian passenger’s prosthetic hand while he was going through the checkpoint. At 14:00 that day, scanner in No.2 security channel raised the alarm when a Russian passenger named BARKANOV was trying to get through the checkpoint and board flight UN536. Airport security personnel stopped him immediately and took him to security inspection room for further check. The Russian passenger claimed that he is a disabled person and refused inspection at the first place. After airport workers’ explanation, the passenger finally agreed to accept their inspection. To the airport workers’ surprise, a lighter was found hidden in the passenger’s prosthetic hand. This was the first time that banned item was found in passenger’s prosthetic limb at Sanya Phoenix Airport, according to the airport staff.